Printer Details Ink + Accessories Whats in The Box? Make a lasting impression on your customers and do more printing in-house with vibrant, professional-quality output on a wide variety of media. With the advanced technology of the C950de, you'll get high-performance A3 (tabloid) printing capability that produces consistent from the first page to the last. 1200 x 1200 print resolution for rich vibrant s and crisp black text. PANTONE? calibration for consistent tones. Named Replacement for easy matching. Lexmark Care Technology to manage use and control costs. Create professional collateral materials ranging from saddle stitch booklets to folded brochures on media up to A3 (tabloid). 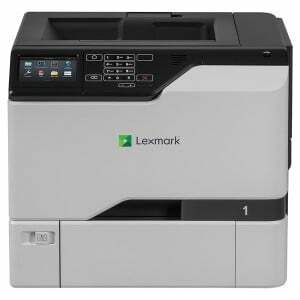 The Lexmark C950de combines high-performance printing with easy-to-use features and time-saving workflow applications designed to boost your productivity. 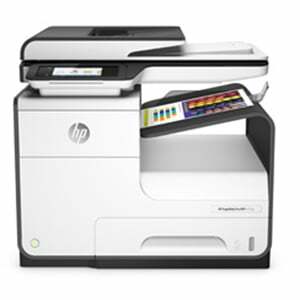 Print at speeds of up to 50 ppm black and 45 ppm : time to first page as quick as 5.2 seconds. Easy to navigate 10.9-cm (4.3-inch) touch screen provides audible feedback to make completing tasks intuitive.